The tiny gotu kola leaves are used to create gotu kola tea, a subtle and soothing herbal tea that is enjoyed in a number of Asian countries. In the wetlands of Asia, tiny green crescents, like lily pads growing on land, mark the appearance of gotu kola. 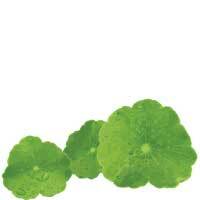 Sometimes referred to by names such brahmi, centella or Indian pennywort, gotu kola is a hardy plant, and seems able to grow in abundance wherever moisture can be found. In India, gotu kola is held in high regard as a very spiritual plant. A number of Asian countries use gotu kola as a leafy green vegetable, as well as a common flavoring ingredient for traditional local beverages. Gotu kola tea is crafted from the leaves of the plant, and offers a subtle, refreshing herbal taste. 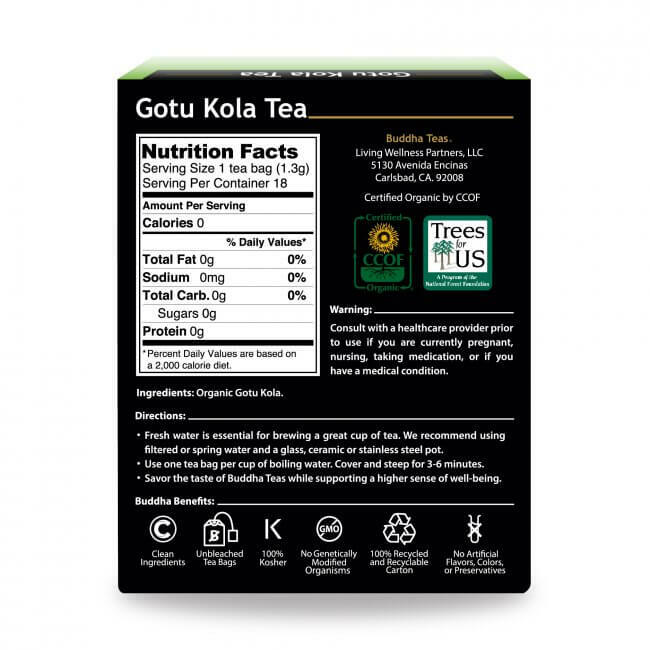 Drinking Gotu Kola Tea is not only a refreshing way to spice up your day, but is also a convenient and delicious way to boost your nutrient intake. A cup of Gotu Kola Tea is a natural source of vitamin C, vitamin K, thiamin, niacin and riboflavin. It will also impart minerals like iron, calcium, potassium, magnesium and zinc. Gotu kola also contains a number of active constituents, such as carotene, collagen, saponins, quercetin, tannins, and triterpenoids. 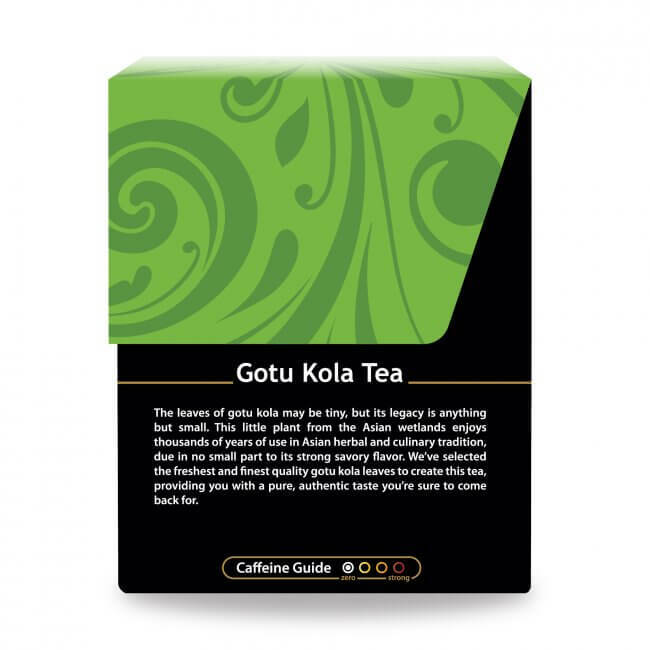 Sample a cup of Gotu Kola Tea and experience the power a fresh herbal tea can provide. At Buddha Teas, gotu kola tea is definitely a favorite. Bring a little life to your brew by adding some honey or zest it up with a slice of lemon. 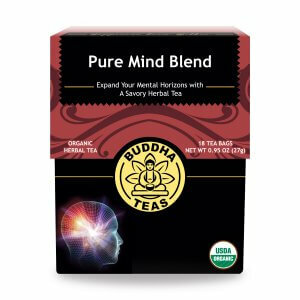 Buddha Teas offers great prices for bulk purchases, and all purchases that are $50 or more receive FREE shipping. Review Title: So happy I found this! This was one of the few websites I could find organic Gotu Kola Tea. The taste is great and I love the fact that the tea bags are unbleached! Review Title: Thanks for maintaining Gotu Kola tes for us! My wife and I drink Gotu Kola tea everyday but it has been hit or miss being able to maintain a supply. The cost, efficiency, and fast delivery from Buddha Teas has made us regular customers. First time try of this herbal tea. Fantastic! Thank you. This tea is lovely. Love the fact the tea bags are unbleached and the packing is sustainable and beautiful to boot! I will be ordering from them again. Great flavor. Love that it's not a strong tea. You can skip the sweetener and it's still great. I started drinking Gotu Kola tea for its effect. I have a wild side which causes a lot of unnecessary stress. This tea calms my wild side. 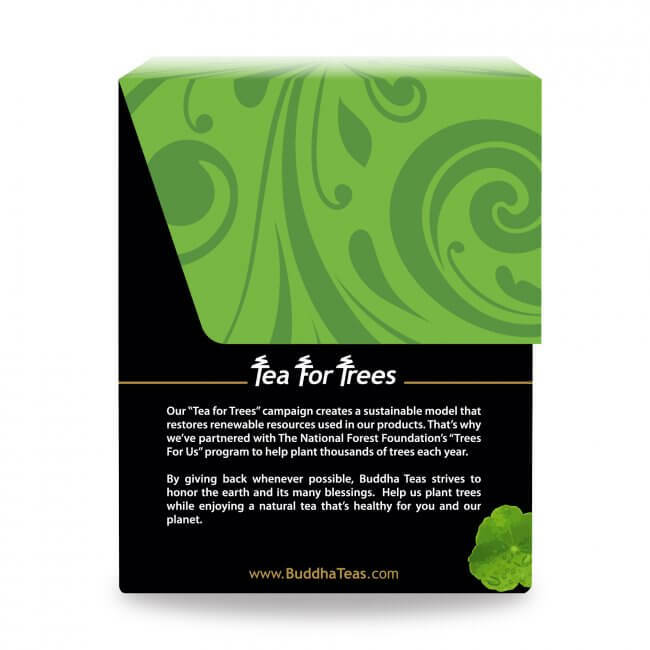 Buddha Teas packaging is exceptional and the delivery time is great. Really pleased! Actually ordered it because I am healing an injury & want all the help I can get. The taste is light & a little powdery in a pleasant way. Somewhere between chamomile & white tea. While it's pleasant on it's own, it's delicious with a little honey & lemon. Nice tea, a wonderful flawor; for me its a natural and qualité organic tea. I wish to test other tea from buddha teas and i enjoy the rapid delivery To France.